WELCOME TO MY GAUNTLET 2019 FUNDRAISING PAGE! I am excited to play games and raise funds with my team to benefit of El Centro de la Raza (the center for people of all races) which serves as a voice for the Latino and immigrant communities in Seattle and King County. Since 1972, El Centro de la Raza has built unity across racial and economic sectors, empowered the most vulnerable and marginalized populations and strives to provide justice to all peoples. From education and youth-focused programs to community building and development, they offer services to aid the Seattle community and beyond throughout all stages of life. On Sunday, May 19th, 2019, twenty teams of 4 will gather to compete in a contest of skill and chance at Mox Boarding House in Bellevue, WA. Teams of four, from local community groups and games industry businesses, will raise donations for El Centro de la Raza. These donations will unlock power-ups to aid them as they compete in a series of table top games to win glory, and victoriously hoist the Gauntlet! 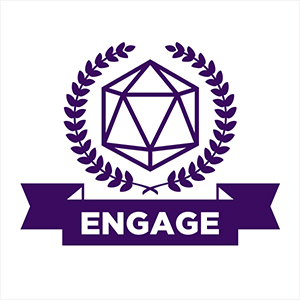 This event is sponsored by ENGAGE - Card Kingdom and Mox Boarding House’s charitable giving program. For more information on how to make a donation, please visit the team pages to show your support! 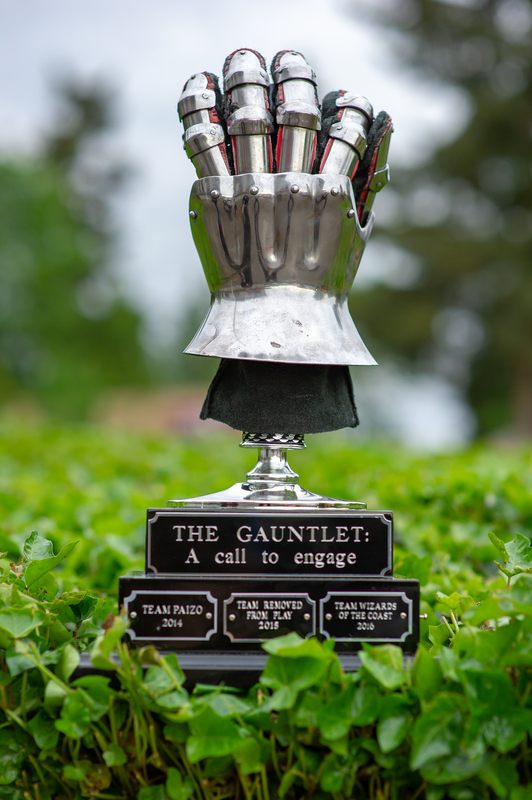 The Gauntlet trophy, in all it's glory! Be sure to tag us on Twitter @moxboarding and use the official Gauntlet hashtag #MoxGauntlet when sharing about our event! Thank you, generous donors, for making our event a success, year after year! With your donations, we are able to create a measurable impact for the beneficiaries we hold near and dear to our hearts.